After high-school, I went through a phase where I was in love with instrumentals. For weeks I only played soulful loops that reminded me of sunsets and first loves. I admired how instruments could say even more than voices, discovering gems from J. Dilla, Nujabes, 9th Wonder and producers that invoked feelings and emotions in their production. Loops, basslines, samples, all the components that created voiceless experiences. Flying Lotus is another producer looked upon as a mage, his years in the game has accumulated a huge following. I know a few underground beat enthusiasts who flaunt their copies of Reset EP, 1983, Los Angeles and Cosmogramma while retelling stories from the early Low End Theory days. There’s fans that discovered him through Adult Swim’s bumper music, in-between episodes of Family Guy and Sealab 2021. His rapping alter-ego, Captain Murphy, opened a few ears who aren’t big on instrumentation but find enjoyment in low pitched raps about "Mighty Morphin Foreskin." For me, it was the 2012 short film, "Until The Quiet Comes," that introduced the acclaimed beatsmith to my ears and eyes. Directed by Kahlil Joseph and scored by Flying Lotus, it’s captivating, a conceptual narrative abstract enough to raise questions. 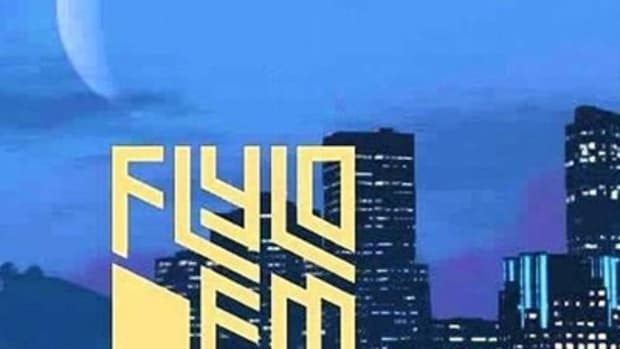 In just three minutes, Fly Lo created a form of expression that walked the line perfectly between MTV Jams and Sundance Film Festival. "Until The Quiet Comes" demonstrates a cinematic vision in harmony with music composed to illustrate. A great score can be progressive, moving the story forward or simply intensifying the viewer’s experience; you know something terrible is going to happen soon because it sounds like danger. 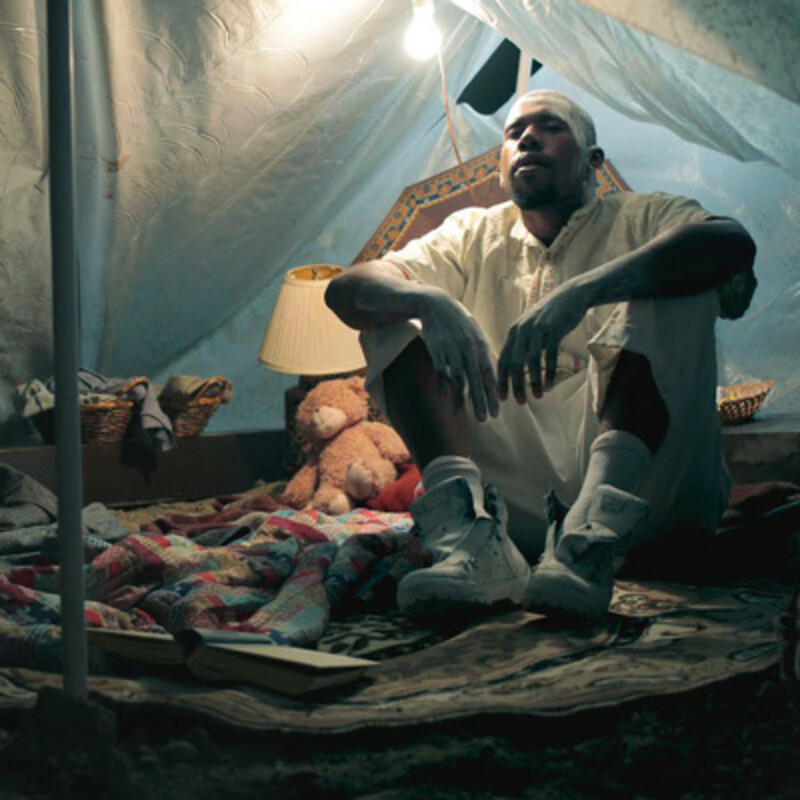 Flying Lotus expanded on this idea with outstanding results with his next big video, “Never Catch Me.” Another scenario influenced by death, leaving the mean streets of L.A and bringing us into the funeral of two young children. The setting is sullen, the stage setup is painfully believable, I remember reading a story that the parents of the actors broke into tears the moment they saw their kids in caskets. No parent wants to bury their child, not even if it’s fictitious. Hiro Murai handles directing, well known for his stunning work with Childish Gambino, he adds another masterpiece to his growing catalog. The visuals are simply remarkable, bar raising, easily one of the best from 2014. The most impressive and important aspects that makes "Never Catch Me" amazing is the choreography. Dancing of this caliber takes me back to the early days of Missy Elliot. It’s incredible watching them move in unison with the production, the beat is layered with numerous switch-ups, and their every movement matches the transforming elements. For a song that features Kendrick Lamar, his presence isn’t missed. I can’t name another video that blends melancholy and joy so seamlessly. And then just yesterday, Flying Lotus delivered for the third time with "Coronus, The Terminator." Inspired by Arnold Schwarzenegger’s most notorious movie, "Coronus" is the moment when angels have descended from heaven to carry the departed. It’s an eerie song with a visual adaptation that matches the frightening atmosphere. Directed by Young Replicant, the video bring us into the home of a man on his deathbed. His spirit is the focus, stuck between passing on and trying to make amends with his son. The most puzzling of the three videos, it begins and ends without answering any questions. Why does the kid have one arm? Who are the dancing spirits? When shot, why does the man bleed Lotus Flower? Despite all the unanswered questions, or rather because of all the unanswered questions, "Coronus, The Terminator" proves that Flying Lotus is creatively in a different dimension. 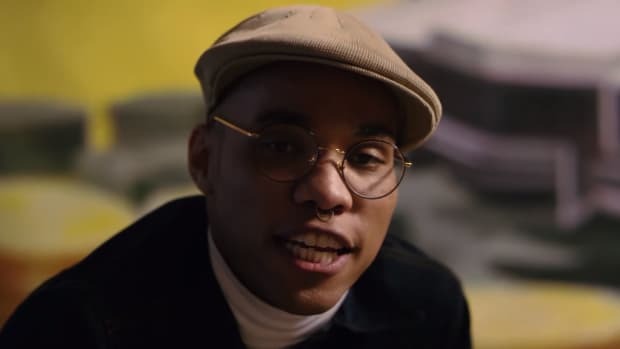 We see countless videos, artists are shooting adaptions for every song on their albums, but few, if any, are matching his quality and vision. What is his vision? 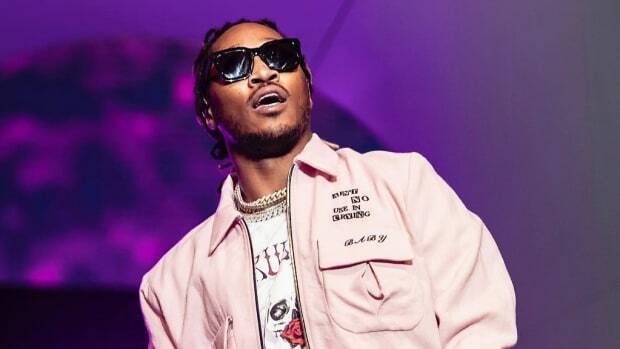 Death is not only the theme of his last album, but also the thread that connects "Until The Quiet Comes," "Never Catch Me" and "Coronus, The Terminator." Flying Lotus&apos; other videography is rather small, consisting mostly of animations. Besides the three previously mentioned videos, there’s only two others that aren’t animated. The dreamy "Infinitum," a video that depicts an archer shooting a half-moon from the sky, and "Tiny Tortures," where Elijah Wood stars as a one arm telepath. (Again with the one arm!) However, these two videos don&apos;t deal direclty with death, so they feel outside of the trilogy. Just like Childish Gambino, is it possible that Flying Lotus has connected these three video together with subtle similarities? Are we witnessing the unfolding of a single story told over the course of several years and videos? In each one, we witness death in some form. "Until The Quiet Comes" begins with the death of a child, later focusing on the death of an older gangbanger. "Never Catch Me" doesn’t disclose how the kids died, but the funeral setting tells us all we need to know. With "Coronus, The Terminator" things are vaguer, he seems to be teetering on the blunt edge of death and life. What happened to the man is uncertain, possibly an illness, or it could be tied to the young man losing his arm. The execution style shooting at the end is more symbolic than cause of death, but by the end, he’s definitely in the afterlife. Next to death, dance is another component that each video has in common. We watch as the gangbanger is brought back to life, moving like a man possessed (word to the incredible Storyboard P). As he dances through the crowd, nobody notice his presence, it feels as if time has stopped. When he removes his shirt, the fresh bullet wound can still be seen, he’s dead, so that’s likely his spirit dancing into the afterlife. Finally free from a life of drugs and guns. The boy and girl seem to be more gleeful. They dance with joy despite being dead, young enough to see death as an adventure. There’s a scene when the two are running out of the church, the boy takes a glace back, only for a second, probably to look at his mother one last time. In "Coronus," the man doesn’t dance, I think to symbolize his reluctance to embrace death. However, the three gentlemen covered in powder in pursuit of him dance, twirl, and jig throughout the video. I look at dance as an expression of acceptance and an overall outlook on death. The children are fearless, compared to the man who runs from his faith. To die is to dance, to dance is to reach heaven. With death comes the afterlife, commonly envisioned as a world above clouds, but in Flying Lotus&apos; vision, the deceased all gravitate toward motor vehicles. The gangbanger dances into the cherry red low-rider, the kids highjack a hearse, and the old man boards a bus. As he’s boarding the bus, it quickly flashes the words, "Your Dead." I think it’s interesting that the gangbanger is picked up, while the kids are allowed to drive away without any extra guidance. And it should also be noted that "Never Catch Me" is the only video where the living acknowledge the deceased. Kids chase the hearse after the two children drive away, possibly an example of kids having a deeper touch with the spiritual world. 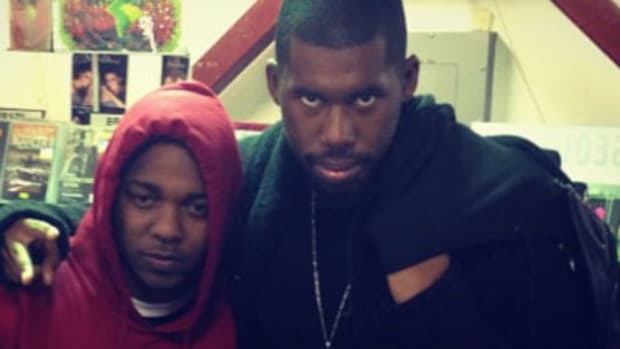 Of course, Flying Lotus&apos; appearance in each video is vital to the idea of connection. He seems to play the grim reaper, or the guide to the next world. He’s in the passenger seat of the car, shown in the church during the funeral, and is one of the three dusty guys seen throughout "Coronus." His role is major in understanding the grand scheme of things. He’s never alone, which is why I don’t believe him to be the reaper, but possibly God or the omnipresent being in the story. In "Coronus," right before the execution, he slides his fingers across his neck, a gesture Lil Wayne claims to be so universal that even the deaf understand its severity. 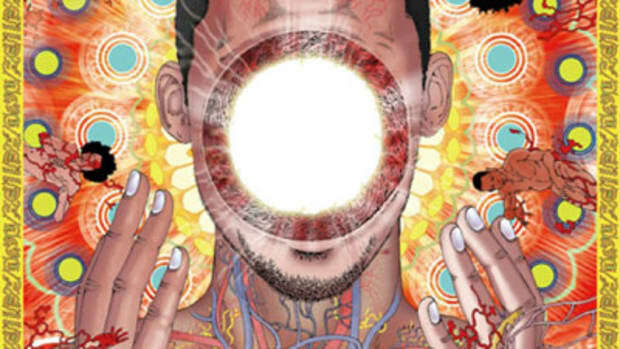 The concept of Flying Lotus last album, You’re Dead, was death from every angle. 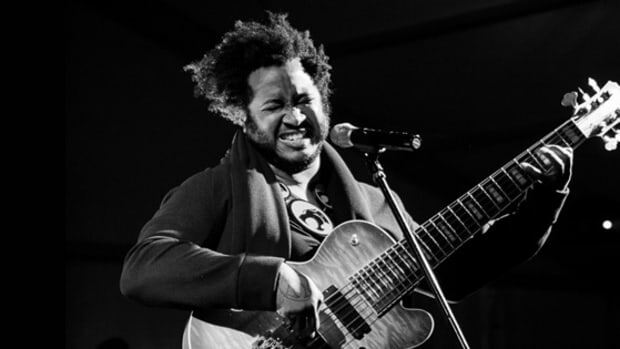 He sought to sonically take us through the stages, a trippy experience to say the least. I suspect that visually his mission is to give the idea of the next life a new outlook. "Never Catch Us" showed us that dying doesn’t have to be sad. While they weep inside the funeral home, the kids are dancing to a better place. "Until The Quiet Come" shows the inevitable outcome of banging on the block, that death can be an escape when there’s no other exit. "Coronus" can be perceived a few different ways. I’ve read speculation that the father saved his armless son and lost his life in the process, hence the son shooting him at the end. Personally, I think he was a negligent parent, possibly abusive, and his son was afraid of him even when dying. That’s why he seems to look at his son with such regret and follows him off the bus, trying to make amends while “the angels” are on his heels. The lyrics, “My hands been bloody since the day I came It&apos;s such a shame, you&apos;ve seen my violent side” in context with the video could be seen as a confession. The father isn’t proud of his violent nature, but has been this way his entire life. His son shooting him is a symbol of closure and vengeance, that it’s too late for your forgiveness. I think adults believe they will have enough time to correct their wrongs, in this case, time ran out. 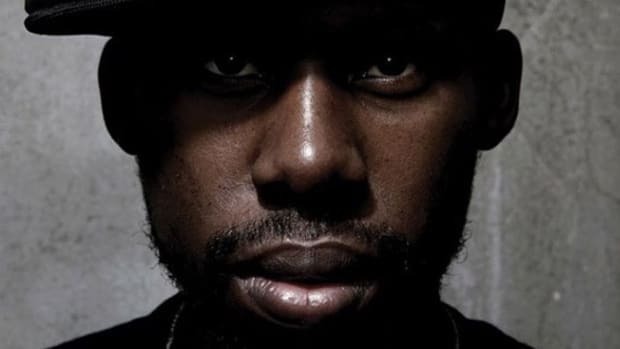 Back in January, Flying Lotus admitted on Twitter that he’s working on writing a film script. It’s possible that this movie will be the next part of this death saga he’s started. There’s still a few songs on You’re Dead that deserves some kind of visual treatment, especially “The Protest.” He has a vision, one that is ominous, thrilling, and sad and utterly, absolutely artistic, one that invites deeper inspection, rewards time spent unraveling meanings and symbols. With death as his muse, there’s no foretelling what his next move will be. He&apos;s unpredictable, edgy, and creating overwhelmingly impressive art. In the perfect world he would conquer the VMAs and leave the 2015 Cannes Film Festival victorious. Sadly, this world isn&apos;t perfect, great art is often overlooked, but that&apos;s why we want to acknowledge his superb work. Death will come for us all, but thanks to Flying Lotus we&apos;ll know how to dance our way into the next world. [By Yoh, aka Yohornus the Terminator, aka @Yoh31] .